I am from India and am new to learning any kind of free flight. I have just started making basic models, learning basic aerodynamics in model airplane building and familiarising with what all is out there. I also work in an education non-profit that caters to very low income community kids and rural kids. Beyond my work, I am personally interested in learning DIY science and take basic workshops with these kids. Since resources are scarce, it requires special focus on minimisng cost in order to work with these kids. Also, flight hobby product market in India is underdeveloped, thereby necessitating finding cheaper alternative products for import; therefore often basic/standard free flight products can be unavailable or unaffordable (for buying bulk for taking workshops in my specific case). I tried getting Tan rubber for myself through a friend in Texas, but the process doesnt seem feasible for taking workshops with kids as direct import for larger qty is expensive. So in response to my query a person here (Yak 52) suggested that I should explore electric free flight instead of rubber power and check out cheaper Chinese products (sites like https://www.banggood.com, http://www.aliexpress.com/ etc). That seemed interesting! So I am trying to explore this along with learning flight basics. Based on Yak 52's initial suggestions and my preliminary material/info search, I am posting all questions that come to my mind. Please consider me a novice with flight as well as electronics. Also though I can buy some units for my learning that might be a little higher in cost, but I want to approach this from the point of view of taking workshps with kids and use the same material in my trials too; so Iwant to explore material options accordingly. 1. How do I decide which motor to buy? There are different motors in terms of size as well as voltage. Can you help me locate some motors from those sites? How different is it different from coreless? Why is a gear mechanism needed in the motor-prop assembly rather than direct connection to motor shaft? 3. I am looking at airplane sizes that are like the rubber powered ones. Do these motors power smaller, equal or larger airplanes than rubber powered ones? 4. What is the difference between drone and airplane propeller? Most of the propellers on these sites seem to be drone propellers and cant be used with airplanes, right? How do I decide propeller size? Can you also help me locate some props on these website? Drone props seem to be cheaper but I couldnt find similar prop sets for airplane props...also because I do not know which prop I should be looking for. 5. How do I decide which battery to use? Even 3.7V has different ampere ratings available..
6. What purpose does a FET timer serve..limiting motor run duration? Without an RC kit, the FET timer would time how long the motor runs, right? Does this FET timer serve as power unit for the glider? Cant the capacitor in the timer be charged for a short duration rather than use a timer chip? What are the times that are possible on the FET timer given in the above Peterborough timer links? 7. With the use of capacitor in FET timer, is the battery also attached to the airplane when it flies or is the capacitor charged and then battery is removed? 8. The FET timer airplane is different from Supercapacitor airplane? How? 9. Please post some pics or videos of the build of electric airplane, FET timer and supercap both, that you have made so that I can have a better visualisation of the whole thing rather than just see the parts. I could only find some indoor free flight videos but no build videos, pics or close ups. Sorry for so many questions in case it muddles the discussion! It will be helpful if you can mention the question number for your reply. You'll have to consider the size and type of model you want to power and then find a set up that works and is available to you. There are some proven combinations that work but you may need to do some experimentation depending on what you can source. It also depends on what battery charging capability you have. This doesn't look very suitable, more like a car or boat motor. I would guess that the power to weight is poor and the prop RPM is likely too low for a flying model. Direct drive 'pager' motors can work well but they run at a high RPM and only take a small prop. This generally means a smaller, faster model. A geared system allows a larger slower prop which will fly more like a rubber model. The drone motors may work in the right circumstances but some experimentation will be needed as quality and thrust vary. The small 6-8.5mm coreless motors will fly models from about 15-100g depending on specifics and whether they are geared or not. Something like a GWS CN12 will fly 60-100g on direct drive. Put a IPS gearbox on that and you can fly a model double or treble that weight. Depends on the charging method and the motor and the power requirements. On a small coreless pager motor a 1S (3.7V) battery is normal. The capacity in mAh will vary with model size from 50mah to 300mah plus. A proper charger would be the most expensive item for you to begin with but give you flexibility for all battery types. Alternatively a USB charger such as I linked to will be cheap but limited to the particular battery size. A FET timer gives full throttle for a timed motor run, from a few seconds to a minute or two. The motor run is started by brief contact with a 9V PP3 battery (check availability?) You can solder up the timer from components to one of the designs on the Peterborough website. In bulk it would probably be an inexpensive option. Without a timer - ie just connecting the battery - the motor would just run the battery flat which means the end for a lipo. A capacity is not a battery - it can store electricity very briefly. It is charged from a bigger battery and then gives a short run of power as the electricity disperses. Using a FET timer is different - the battery stays on the model as it would for RC - the timer just gives a fixed run. This will give a more consistent run than a capacitor which starts at full power but constantly runs down. A FET model can have several flights without removing or charging the battery. Capicitors may be an inexpensive way of getting flying but there are more limitations with them. Don't have much time at the moment, but I thought I'd mention that, if you can't get balsa, you can make very nice models out of polystyrene foam. Preferably extruded foam. In the USA, sometimes food at the supermarket comes on foam trays that would work nicely to make models out of, though it might have to be cut or sanded thinner. Also, I don't see any reason you can't use a drone prop if it fits properly on your motor. Just a few more remarks on electric motors and propellers. Most of the cheap and small motors you will find are brushed motors, they have two brushes to transmit the current from the battery to the evolving rotor of the motor. Not all of them can run clockwise AND/OR anti-clockwise. If not stated they will run clockwise. Why is that important? Because drone propellers are normally sold in couples of clock and anti clockwise. Drone propellers do have normally low pitch, about halve of the diameter, which is ok for slow flying models. Brushed motors are turning high rev's and low torque so are not suited to turning big diameter prop's. Putting a gear on it diminishes the rev's but increases the torque in relation to the gear ratio. That's why slow flying models use normally motors with gears. The optimal rev for an electric motor is 2/3 of his unloaded rev's. Say a motor turns at 7,4V 24.000 rev/min, the ideal prop will have it turn 16.000 or slightly less. If you are flying small and light (<15 g all up weight) electric planes with a single (1S) LiPo cell or a 5- to 10-Farad 2.7-Volt supercapacitor, you will need small and light connectors. I use SIL (Single-In-Line) connectors and ~1/8-in dia or smaller shrink tubing. The shrink tubing can be shrunk with a soldering iron or heat gun, but is most easily done in a 1-2 seconds with a cigarette lighter. Hold the shrink tubing in the blue (reducing) part of the flame to avoid igniting the plastic. A few questions first...I am parallely searching materials and will post their links for feedback after these are done. Direct drive 'pager' motors can work well but they run at a high RPM and only take a small prop. This generally means a smaller, faster model. A geared system allows a larger slower prop which will fly more like a rubber model. So if I use a pager motor and small drone props, I can use it directly without the gearbox? And if I do not want a 'rubber power like' flight (slow) then I can go ahead with the small drone props? The drone motors may work in the right circumstances but some experimentation will be needed as quality and thrust vary. You have mentioned 'small coreless', 'pager' and 'drone ', 'GWS CN12' motors. USch mentioned brushless and brushed. How are all these different? Especially pager vs coreless? Pager motor was mentioned as 'vibration motor' in one Indian site...same thing? Also wont the vibration cause any problem in flight? A proper charger would be the most expensive item for you to begin with but give you flexibility for all battery types. Can you post a pic/link of this universal charger so that I have an idea? Alternatively a USB charger such as I linked to will be cheap but limited to the particular battery size. So the USB charger is for a particular battery type only? Arent the cables the same for all Lipo batteries? A FET timer gives full throttle for a timed motor run, from a few seconds to a minute or two. So a capacitor power would diminish and beyond a point it wont support flight even though it will have charge? And using FET would a constant full throttle like a battery, for the entire duration? The motor run is started by brief contact with a 9V PP3 battery (check availability?) You can solder up the timer from components to one of the designs on the Peterborough website. In bulk it would probably be an inexpensive option. Without a timer - ie just connecting the battery - the motor would just run the battery flat which means the end for a lipo. What is the function of this 9V battery if there is already a Lipo battery? 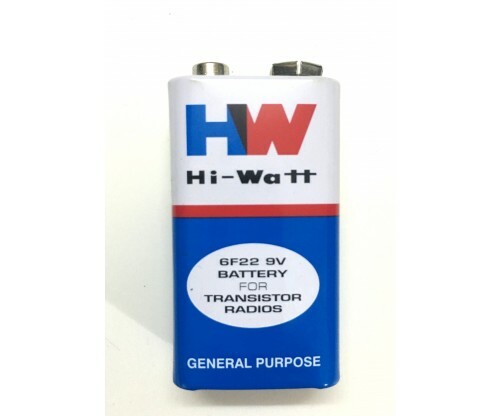 We have 9V batteries like https://potentiallabs.com/cart/image/cache/catalog/Latest%20components/File%2006-05-16,%204%2006%2051%20PM-500x416.jpeg commonly available. Are they the same? A FET model can have several flights without removing or charging the battery.with them. Related to the above query of why both 9V + Lipo...couldnt understand why battery is still on the plane if the capacitor in FET circuit has been charged? Does Lipo continue to provide power during the flight? Then what is the 9V for? Sorry, I have almost no idea of electronics! That gave some idea, but no build pics or video there. Are there pages where model build is given step by step? Like the 'Endless Lift' site that has detailed step-by-step instructions and pics for rubber powered gliders. We dont see such foam trays here commonly...however we easily get disposable foam plates, 1mm and 3mm thick...the 3mm one is 24.5cm in diameter..I guess 1mm also comes in similar dimensions but I have just seen the smaller version. I dont know how different is this from Depron...I havent used or seen it. I bought a pack of 3mm plates. That will be ok I guess? I had been making a small and simple model of 1903 Wright Flyer (hand launched) with 90 GSM paper and I tried to make it using the 1mm foam plate (see pic..the camber wing model didnt fly though, but got me started on working on foam). I am planning to make it with this 3mm foam, but flat wing version that flies. Because drone propellers are normally sold in couples of clock and anti clockwise. I saw CW and CCW in each pair of drone props, that are usually 55mm dia. Can both be used, of course with forward and backward positioning? That is, if a buy a set of drone props, can I use both types of props depending on how I install it? Not all of them can run clockwise AND/OR anti-clockwise. If not stated they will run clockwise. But wont ANY motor reverse direction of rotation if I reverse the connections? The http://peterboroughmfc.org/technical-articles/web_site_FETtimer.htm also says that if motor runs the wrong way, reverse the pins...is that valid only for some motors? Also, for the two set of drone props and motors, can both be used? Where is the connector used in the circuit and the heat shrink tube? I couldnt understand how to use it and the male-female part etc...havent used it before. Any pics? Yes. Direct drive will tend to suit a faster model. Brushed and Brushless are the two main types of motor. Ignore brushless for the moment - they are more advanced and require a separate speed controller (ESC) and more complex timers. Pager, Coreless and CN12's are all types of small brushed motor. They can run directly off a small battery or capacitor in a circuit. Generally motors are described by their can size. So a '7mm motor' will have 7mm diameter. A '716' is 7mm in diameter and 16mm long. Pager motors are used to cause vibration with an offset weight on the shaft. Take this off and it's a standard small motor. The amp output will be fixed. Batteries need to be charged at the correct output for their size so a USB charger is simple but only works for a limited size of battery. But this may be a good cheap option if you are ok sticking to one battery size. Yes. With a capacitor you have a short window where thrust is sufficient for flight and a long run down time after the model lands. There probably is somewhere on the internet if you have access to foam sheets then you should be able to build a variety of small 'depron' designs. Any stable RC model design will be capable of conversion to electric FF. Yes, just make sure the prop matches the motor. In terms of the model using a CW or CCW will affect the way you use thrustline to trim but will still work fine. The idee behind my suggestion of not using drone prop's starts with the fact that a free flight model behaves differently if flown in right circles or left circles. The reason is the torque of the motor-propeller and the small adjustments of the rudder, wing warps and tip weight used. So on a trimmed model you cannot just switch the prop from CW to CCW and keep flying as if nothing happened. Yes, in theory on a brushed motor you can switch the positive and negative cable and have running the motor in CW or CCW. But in practice there are different brush designs on these cheap motors wich recommend to not run the motor against the brush (difficult to explain ). The other reason is that quite a few motors are delivered with 5-10° anticipation for a more efficient CW running which would be deleterious for CCW running. Building models with 1-3mm foam is a easy and cheap way to make experience within a short time. I read the Fet timer article again a few times and understood the working. It's timed switch. Lipo provides power to motor during flight mediated by fet timer which is operational as long as voltage across it is above a particular value. The 9V battery is used to switch it on the first time so that Lipo-motor circuit is complete. Right? 1. SMD capacitors are more readily available and cheaper here for the same specification. What is the difference between using radial and smd cap (inuding ease of use in soldering)? 2. Case A, Case B is mentioned in some places for capacitors of same specification. What is that? 3. 1/4W resistors are more readily available in market whereas 1/8W are available online. What is the difference between using them? 4. Peterborough article says that if you make resistor 'pluggable' then you can use different resistors in the same fet timer to achieve different run times. Any simple method to make it 'pluggable'? Will the same circuit work for different resistor values? That might be economical too for me if I buy different value resistors and use the same cap and fet. 5. Is there any Fet substitiute with the same specifications or is D12NF06L the only one suitable for this timer? Except one place which supplies only 2500 or more units, I couldnt find this fet anywhere in Indian online stores. 6. When you say "matching prop to motor" is it about motor shaft diameter and prop hole size or other things too? Because I saw that across different websites there is no consistency in shaft dia...some are 0.8mm, some are 0.6mm and some 0.5mm. I contacted ebay India sellers and they said their motors run in both directions. They also said that instead of CW and CCW pair, they can provide same direction prop. So is it better if I buy CCW motor and CCW props only (for forward prop position)? CCW direction is when viewing the motor shaft pointing towards me? Twin engine will use CW and CCW motor-prop having same direction? I am not clear on the more basic difference between the two types of props- Is the thrust provided by them in opposite directions or same direction? What I find confusing is that if thrust direction (fwd or bckwd) is in different directions, then how does twin engine airplane work with same direction of both kinds of motor-prop...isnt one supposed to push and the other supposed to pull? A twin engine may use a CW motor and a CCW motor. If this is the case it needs a left-hand prop and a right hand prop. A twin engine can also successfully fly with two identical motors, in which case it uses two identical propellers. When you run two different motors, it makes it slightly easier to trim because the two motors cancel each other's torque. As I understand It, it is not too difficult to get a twin running two identical motors to trim for good flight. Essentially, yes. The initial 9v zapper contact charges the capacitor and therefore starts the timer. The resistor gradually drains the cap until the timer switches the motor circuit off again. 1. Change the zapper voltage. 2. Change the drain resistance (ohms) of the resistor on the timer. Other versions have a either variable resistance on the timer (variable potentiometer) or variable voltage on the zapper. As far as I know both would work. The wattage rating is about how much power the resistor can cope with (before burning out.) I don't believe going larger on this would be a problem as long as the other spec remains the same. The higher rated ones will probably be heavier though. 4. Peterborough article says that if you make resistor 'pluggable' then you can use different resistors in the same fet timer to achieve different run times. Any simple method to make it 'pluggable'? Will the same circuit work for different resistor values? That might be economical too for me if I buy different value resistors and use the same cap and fet. Yes, that's how it works. The various resistors and approx times are listed in the article. D12NF06L is the proven component for this design and works with the other suggested components at the voltages and amps reqired for these small Free Flight motors. You may be able to source a different FET with the same specification or even take the concept and use a comparable FET but you would need to experiment to develop a new set up and test it - potentially expensive and time consuming. I would suggest sticking to this design. It may be possible to post something to you? 6. When you say "matching prop to motor" is it about motor shaft diameter and prop hole size or other things too? A particular prop will require a certain amount of amps to turn it. A bigger or higher pitched prop draws more amps. If the prop draws more amps than the motor and components in the circuit can handle, it will likely burn something out. If the prop is too small - ie the motor could handle more amps than the prop is taking - then you are less efficient. The motor could be smaller/lighter for the same power output. Stick to proven set ups and you won't need to worry about this. ...isnt one supposed to push and the other supposed to pull? Both engines provide thrust in the direction of flight. On a 'counter rotating' twin you have one CCW engine with a CCW prop and the other is a CW engine with a CW prop. This means that torque effects cancel each other out. I'll probably try both. Trimpots are available here and I guess buying a 1M would be sufficient as per the different run times shown in the article. I also found 1/8 W resistors online but I guess watt specification is not an issues here. I am apprehensive about ease of soldering of SMD cap. Will have to try. Anyone here has tried soldering SMD components? http://peterboroughmfc.org/technical-articles2016/6-FET-Timers.htm shows the SMD capacitor. You could try a double SIL connector to make the resistor removable. Although I will prefer trimpot if that works for me, I had problems locating SIL male-female pair on Indian sites. But Indian stores do not show the m-f pair (or I cant understand?) Pls see these two links and help me identify the male as well as female connecter. This 'crimp connecter housing' means female socket? And what are the tin and gold options? It may be possible to post something to you? I have asked some people to help me with identifying fet substitutes available at low price in India. One person suggested I use IRF3205 as its Vds is 55V (ST has 60V) and Rd is 0.008 ohm (vs. 0.07 ohm of ST), and so it should work. He also mentioned something about 'IPAK' and 'TO-220', but I couldnt make sense of it. Although all specifications of IRF3205 dont match with this ST fet, he said this is not needed. Another person said that it is better to start by choosing a battery and motor first, and accordingly see which fets will be suitable for the timer circuit. He also said that with the very small current rating of motor and battery, a microcontroller might work too instead of building a fet timer...too much electronics to digest for me at the moment! I have written to Peterborough team too. I hope they reply. For the tantalum capacitor, I was suggested that if they are costlier, then I could use an electrolytic capacitor. I couldnt find 47uF 16V yet, but 47uF 25V is available. Former weighs 0.39g while latter is 0.5g but costs 10 times less. I am also wondering if 16V Vgs of ST fet and 16V rating of the tantalum capacitor have been made the same for some reason? In that case if IRF3205 turns out to be suitable, then its 20V Vgs might be compatible with the 25V elctrolytic capacitor. Those pin strips are generally soldered into PCBs (printed circuit boards) as part of components like receivers. The crimped plug would be on a servo lead for example but the plug requires a crimping tool (a bit like pliers) They are not the same as the SIL connectors described. For general connectors in the battery/motor you could use standard micro JST 1.25mm 2 pin plugs. Buy them on leads and no crimping is necessary, just wire to wire soldering with a bit of heatshrink or insulating tape. They are rated to 1A so would be fine for a 6 or 7mm pager motor. I was offering to forward some FETs to you if you can't source the right component or get them shipped to India in small quantities. I found ST on AliExpress. Although it mentions TO-252 (DPAK) instead of IPAK. One difference is its pins are bent amd IPAK has straight pins. "Unfortunately we do not have a pin to pin replacement to this ST device, it is a 60V, 90mOhm MOSFET in an IPAK package. We have lower resistance MOSFETs that may work and are in a larger through hole type package called the TO-220. One suggestion would be the CSD18534KCS. I see however this is out of TI Store stock, another part that may also work would be the CSD18533KCS which I see is in stock." Maybe you could try these too. TI offers free samples as well and has stores in many places. Their website mentions free shipping till 31 Dec. I havent checked if there is a min order qty. I compared the datasheets and while there are differences, the power dissipation is way lower for ST. IRF3205 is similar to these TI fets. I couldnt find differenc beteween IPAK and TO-220, but the TO-220 has a metal part with a hole at the top which is 'used to attach to heat sink'. So we have 3 potential substitute fets now: IRF3205, CSD18534KCS, CSD18533KCS. I saw IRF3205PBF also which is similar to IRF3205. So that's 4. The link isnt working. Could you repost? SIL is available in AliExpress. Is this ok? SIL wont need crimping right? Sorry to know about Ian..his work lives on. I will check out his posts. Is this battery and charger ok? The banggood link you posted doesnt ship to india. I might stick to usb for now, but there are 50W and 80W. Which is recommended? This is the cheapest I could find and has 14 Indian orders in the past. I am thinking of requesting all CCW motors and props, if he agrees. Front mount, pull type, would use CCW right? I will probably also order 716 of geared prop link you sent. Have you used trimpot? I was thinking of getting a multi-turn 1M trimpot...weighs about 0.7g. It says 25 turns..so if it's linear, then that is 40k ohm per turn? So to get 470K I do about 12 turns? I've never seen or used it. It's 50 pcs set so I dont know if it will invite custom duty. Should I get fixed resistors also? Once I am clear about SIL and a few other things above, I should be ready to place order. It is mentioned 30-50 days delivery time so I will just have to wait! I've had a chat to Ted and done some digging for you on how Ian had set up some of his timers and I hope I am in a position to explain the requirements a little better. I must stress that the following is only my current understanding - I haven't done any development or testing of these timers myself. Hopefully someone with a better knowledge of electronics can confirm or qualify the general principles. Yes, that appears to be the correct component for the stock Peterborough timer. "Unfortunately we do not have a pin to pin replacement to this ST device, it is a 60V, 90mOhm MOSFET in an IPAK package...."
The pin layout and package isn't critical as long as you can solder to the right G/D/S outputs of the FET. These package specs are for different mounting types on a PCB or similar, so not an issue providing you can solder up the timer circuit. I had a look at the specs for those four and all of them are considerably bigger than you need - in particular the Drain Source rating of 100A. By using these over spec FETS you will end up with a timer that works but is much heavier than it needs to be. This won't matter in a bigger model but if you want to fly with a small pager motor it will be massively over spec and too heavy. This may affect the project if the smaller motors and models are cheapest to acquire/build but the timer is too heavy for them to fly. Of course where size is concerned, the other consideration is whether the components are practical to solder. The Capacitor has to be rated to handle the Zapper voltage - ie greater than 9V. In theory you could develop a timer with a lower voltage zapper and cap for smaller components. In theory, a MOSFET that meets the above requirements for your motor/lipo circuit should do the job. Don't worry too much about power dissipation - the pager motors will be something like 3-5 Watts and if you meet the above parameters you will be well within the power limits. - Increasing the capacitance will give a proportionally longer run time. - Increasing the resistance will give a proportionally longer run time. That stuff is not as good as the 'turned pin SIL' https://www.rapidonline.com/truconnect-32-way-turned-pin-sil-socket-22-1751 because it can't be broken out to make individual connectors. You can still cut up the female sheet to give 2-pin sockets but you will lose 1 in 3 of the pins as you cut. The best way is to take out the pin and cut through gently with a junior hacksaw. Then tidy up with a craft knife. The attached picture shows the cheaper plastic case SIL on the left. On the right is a polarised connector from 'broken out' turned pin SIL. It is still cheap per connector and would work for motor/lipo connectors in small models and a for plugable resistors on the timer. But it can't easily be used to make polarised connectors so be careful not to reverse the polarity and let the smoke fairy out! Looks about right - it depends on the motor, timer and model weight. I would leave this for now and develop a light timer first. The motor linked to looks about right but quality and life expectancy vary widely. Cheap motors and props will likely have worse thrust to weight and not last so long. You should still be able to get a cheap workable set up but again you'd be best to test individual units before a bulk buy. The success of this project will depend on matching up the right components at the right price but also at the right weight. After all, it all needs to come together in a flyable model. Some testing of motor, prop and battery combinations is inevitable. Depends on which version of the timer you make and on if you want to experiment. The simplest (for mass production for the kids) is a fixed time from a single resister but some experimentation with different resistors will be needed to get the time right. You can probably see why I suggested sticking to the proven stock components in the Peterborough design! It may cost a little more but should save you time and money experimenting and developing. But If you are prepared to put the time and money in you might save something for bulk production in the longer term by using local sources. Thanks. I was confused between Vgs and Vgs(th). Will digest the rest and get back to you. Since I was searching about fets, I thought I will search a little more before wrapping it up. I sent mails to a few tech support people. There are many pacakage types but for PB timer there have been three: TO-220, I-Pak and D-Pak (the shortest pins). TO-220 seems to be the heaviest. Infineon fets of this type (IRF3205) weight 1.95g. BUZ71A is also this type. The TI fet I mentioned above is also this type but is 2.47g. So maybe the weight is not same for all but is probably near 2g for all such fets. Most fets which have D-Pak also seem to have I-Pak version. I-Pak of Infineon is 0.46g and D-Pak is 0.36g. STD12NF06LT4 is D-Pak and therefore probably 0.36g. So that's it for weight I guess! Based on the four electrical parameters you mentioned, I have made a short list of some fets. There might be many more. I will post them shortly and others can give feedback or add to it..
Just a query before I post that list. For some fets in the list, Vgs is 10V. Is that OK or does it have to be 15V and above? Apologies - there was a cut/paste error in my post showing the wrong VGS for STD12NF06L. ...So maybe the weight is not same for all but is probably near 2g for all such fets. Bear in mind that most people will trim the pins and cut off the heatsink so the actual case may not end up so heavy. 2-3g is not a problem in a bigger model but in a 15g model powered by 6 or 7mm pager motor it pays to get the timer <1g if you can. In theory it needs to be above the Zapper/Capacitor voltage ie 9V, but you would need to do some testing to be sure. The STD12NF06L has some headroom at 16V. The less head room you have, especially on current, the more likely you are to get issues with overheating or shortening the lifespan of the components. I akm reading this thread with great interest. I came across the answer to this: they are different case sizes of SMD caps. A is smaller than B. The standard 33uF 16V I use is a C type ie 6mm by 3mm. The 47uF is a D case. These sizes solder nicely to the terminals of a 6mm DPAK case FET. (The STD12N06LT4 is the DPAK (aka TO-252) version I use.) I'd recommend DPAK/TO252 as the easiest to solder and no need to cut off the pins. IRFR024NPBF looks like a good alternative to the STD12N06LT4. Using a 6mm DPAK FET, 6mm wide C case 33uF capacitor and a 6mm cermet trimpot the components will come to under a gram. Soldering and wires makes for a total around 1.8g. This is a good compromise between weight and ease of soldering. The fixed time (resistor) version shown below weighs 1.9g but the wires are heavy guage for a biggish motor. In terms of motor/battery choices: A good place to start would be an 8mm motor (820 or 8520) on a 65mm prop with a 1S 200mah. It should be able to get a simple USB charger for this battery size. Going smaller gets a little complicated to charge. This set up should give you around 25-30 grams of thrust which would fly a 30-50g model. The table formatting got spoilt! It's cumbersome to put up a table. I am looking for 8520. I think I once saw a 8520 motor pair with 75mm props but cant see it on AliExpress yet. In case I dont find them or they are too expensive, will these 716 be ok? What would be their thrust and how much weight would they fly? I think 716 are 3g and 8520 are 5g..? In the meantime, I have ordered two 2.7V 10F supercaps in case I find the timer-Lipo version a little difficult for now as well as expensive. The supercaps are 3g I guess...the seller was idiotic in his replies and didnt tell the weight despite multiple communications... listings of 10F supercaps on Banggood said 3g. Since these are 2.7V, will there be any issue is plugging them to these coreless motors? All places I saw used this voltage only for the gliders. The delivery time from China to India is quite long...30-60 days! Motor and prop:will these 716 be ok? What would be their thrust and how much weight would they fly? The 716 motor will be fine - it just means smaller models. Thrust values will vary widely with motor quality perhaps around 10-20g. It also depends on the battery size and quality - and what prop you use of course. Some vendors publish thrust data and there are also lots of hobbyists who test and publish comparisons. If you can't find this information for your specific motor you will need to test whatever you get or be prepared to build a few models to get experience of what the motor will power. Here is a video of some basic testing of a similar motor: https://www.youtube.com/watch?v=29VncgxjP1M The battery is 1S 500mah by the look of it so too heavy for your purpose. A smaller capacity battery will likely mean less power so don't bank on the 17g of thrust in this test. The reason I suggested an 8.5mm motor is because the 200-300mah batteries that suit the simple off the shelf USB charger would be better matched to it's greater thrust. A 716 might struggle to fly the heavier battery in a small model. I'd fly the 716 on a 100mah myself but the USB charger may need some adapting to suit the smaller batteries. It's all about matching thrust to the weight of the components and finished plane. Start with a well matched power system and then size the plane to suit it's thrust. The thrust to weight ratio can vary widely but from around 0.5 (ie 34g model on 17g thrust) to 1 (17g model on 17g thrust) is a rough guide. A model with greater than 1:1 thrust will climb vertically. This might suit a short motor run and glide style model. A model with less than T/W0.5 should have a sedate slow climb rate and suit a long motor run. The drag of the model is the biggest factor - a very efficient sailplane can fly on a surprisingly low thrust to weight ratio. You can estimate the required thrust much better with more detailed design but hopefully this gives you an idea. The 716 may have the thrust to fly the bigger battery in a well designed model but the more you keep the weight down, the better your chances of success. My experience with super caps is limited to modifying off the shelf toys so I have never designed a system myself. The components of this model https://www.stevensaero.com/StevensAero-micro-Hawk-capacitor-power.html look similar but use an 8.5mm motor. The USB chargers available to me mostly have 3.7V 500ma output. So will they have to be modified for 100/ 120/ 200mah Lipo? How? Can you tell me something about the C value as well as its relevance in charging? C value x the battery amp-hr rating = max current it can safely deliver? This link (https://www.maxamps.com/lipo-care.php) says that you can charge up to 5C. So that means I can use up to 500mah for 100mah Lipo? Or is that dangerous, as this link says to charge only at 1C (last page top, point 8 ): http://trossenrobotics.com/shared/productdocs/lipoWarningGuide.pdf? Some Chinese sellers item description mentions output voltage as 4.3V or 4.2V and recommend it for a 3.7V Lipo. Is that safe? Can you help me make sense of it, and the part at the end where it says "I suppose the idea might me to babysit the charger and the pack and wait for the LED to come on. Then disconnect the pack immediately. - That just won't work for me." What protective feature is the circuit diagram missing? Or is it dangerous because it is bypassing the transistor and only V1, R4 and R5 are in active circuit (like he draws in his video)? The PB timer article says use 10-15W soldering iron. Will 25-30 W iron also be ok? I would be very careful about modifying chargers unless you understand the electronics properly. By "adapting" I meant that there are some options such as parallel charging to get the appropriate charge rate for each cell. This means soldering up a parallel charge adapter. An example would be a 5A current draw and 250mAh battery which needs a minimum of 20C. Properly matching the battery to the motor means you don't need spectacular C ratings. The problem arises with large currents on a small capacity. If the circuit draws more than the battery is rated for you will get overheating and damaged cells. Standard charge rate for lipo is 1C ie the same current in Amps as the battery capacity in Amp-hours. You can charge them faster but it can shorten their life and mishandling can lead to fires especially in larger lipos. Properly handled the chances of this are minimal but it's very important to be aware of the risk. You could use a 500ma charge current if you parallel charge five 100mah lipos at the same time. The batteries take 100ma each and but the charger sees them as a single 1S 500mah battery. Yes. A fully charged lipo is 4.2V. The 3.7V is the nominal voltage. I had a brief look but I'm not qualified to pass an opinion really. Some small lipos like bluetooth batteries have PCM circuit boards built in to regulate charging and cut off. They just need a constant current because in effect each cell has it's own in built charger. They may limit discharge rate too though. I cut them off and resolder the battery wires but I charge them with an intelligent charger. I can't make recommendations of specific chargers I'm afraid - you'll need to check that they do what you want them too. I can't stress enough that you need to be personally responsible for making sure everything is compatible and safe. The easiest way to do this is to get an intelligent charger with the correct spec or buy a proven USB charger and battery combined set. It is possible to build your own charger with relatively cheap components but some of the designs include advanced soldering of tiny chips. If you want to go 'off piste' then you might try posting in the electronics forum of RCGroups. Yeah that should be fine. That's what use with the DPAK fet and SMD caps. Just tin the pads/pins with a good blob of solder. Then line them up and reheat the blobs. Good jigs or holders (wooden clothes pegs) to align things help a lot.